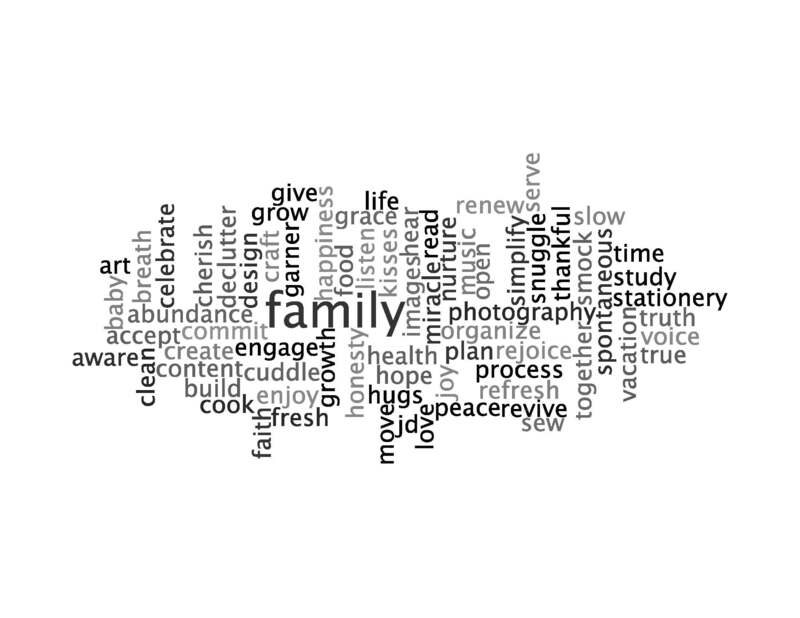 I find it interesting (and maybe something to pay attention to) that this random Wordle generated “family” larger than anything else. I’ve been thinking about a word for the year. Nurture comes to mind, because I’m pregnant. Grow was another – obvious physically growth of a baby and me, but spiritual growth as well. But when family appeared that large I realized that it encompasses both nurturing and growth. As the mother, I’ll nurture my children. As a family we’ll grow together and learn a lot this year. So I think family is the word for 2011, because after all, family is one of the most important things in the whole world. Super excited for you and the family for baby numero dos! I can’t wait to hear what you are having. I am sad we don’t get to see as often any more. I know that classroom move was the right move for your family. I hope that you are enjoying the new class. I hope that we can get the Bridge Builders there, that is our goal for this new year.